I first saw the movie Wall St in my teens. It was one of my high school boyfriend’s two favorite films along with Repo Man, which made it required viewing. At the time, I enjoyed it, but feigned slightly more enthusiasm than I felt because young love. Either way, over the course of our relationship we watched it more than once and I developed an intimate familiarity not only with the story’s protagonist, Gordon Gekko, but also with his solid brick of a cell phone. It’s been a “few” years since high school and, in that time, I’ve never re-visited Wall St (the film that is). Recently however, Gordon Gekko and his cellphone have managed to re-emerge in my purview. Nobody has a definitive answer. Several people have, however, in the course of thinking out loud, raised the example of Gordon Gekko’s cell phone. To be clear, I’m not saying that several people have made generic references to bulky cell phones of yore. 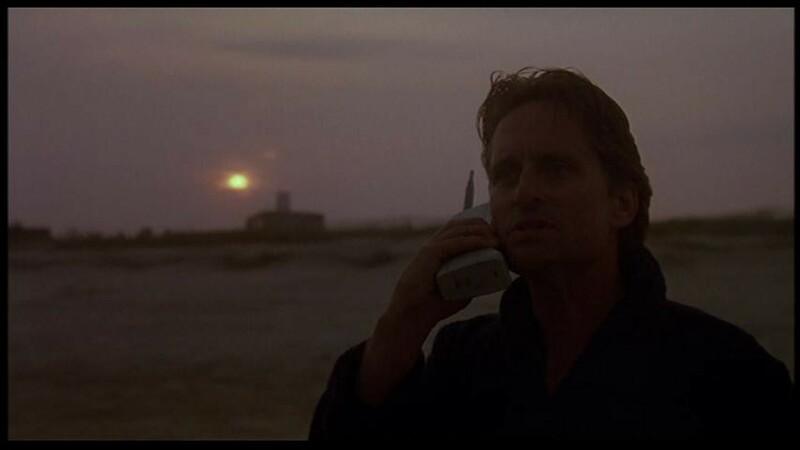 No, multiple people, have specifically brought up Gordon Gekko’s cell phone from the film Wall St in order to paint a picture of where we once were in terms of a particular transformative technology vs where we are now. Wall St came out in 1987, precisely twenty years before the release of the original iPhone. At the time, all the cool kids had a DynaTac 8000X or similar model including Zach Morris, Patrick Bateman, and the hot guy from Sixteen Candles. Little did those superstars of the eighties imagine that phones would gradually get increasingly tiny and then increasingly complex and then, Goldilocks style, would find a happy medium that fits in your hand while allowing you to find the nearest bowling alley, text your mom happy birthday and watch, well, anything that tickles your fancy. Cell phones may not be perfect, but we’ve certainly come a long way baby. 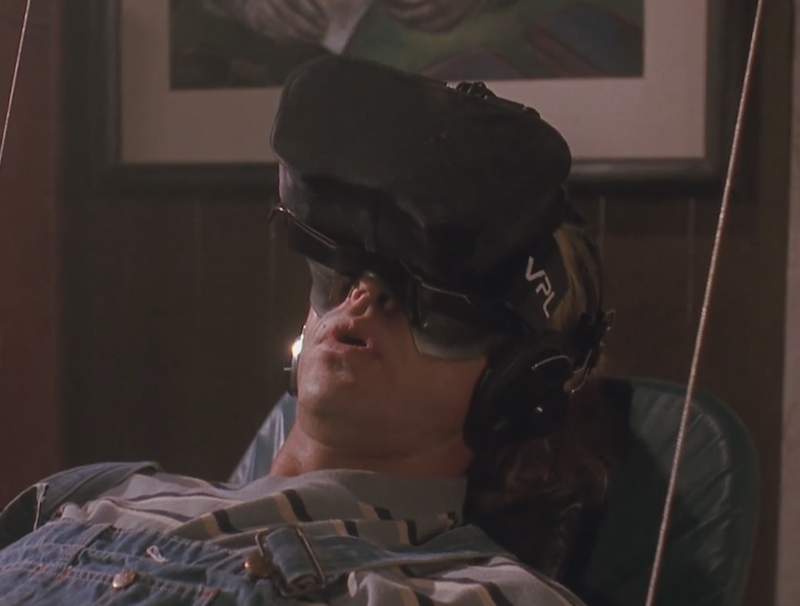 Why, then, do today’s VR headsets still feel barely improved over those featured in the 1992 film Lawnmower Man directed by last year’s VRevolution keynote speaker Brett Leonard? Sure, to be fair, mobile options like Cardboard, View-Master, and even the Daydream have brought immersive 360 to the masses — at least the tech loving early adopter masses — but even these require a somewhat unwieldy headset strapped or held to your face. Wherefore the sleek, seamlessness of the iPhone? Even Ready Player One, the fictional bible of VR enthusiasts, puts its protagonist in a bulky headset and full haptic suit. Come on Ernie, your vivid imagination must have a vision for a more seamless experience! For someone who produces a portfolio of business innovation events, I can be a bit of a luddite, but not because I don’t see the value in new technology. Like most people, I simply refuse to adopt any new tool unless it truly adds value to my daily life. Show me how you will make my life easier or in some way markedly better and you’ve got me. VR and AR have enormous potential, particularly when employed in tandem for fully interactive and immersive experiences, but so far, the available tools and applications have failed to win the hearts (and dollars) of most consumers. Just as only an elite few bothered with cell phones before the early 2000s, VR/AR enthusiasts run into the same people at every meetup, that is if they leave the house and their full board VR gaming station long enough to go. Apple found a design that put a computer in every pocket, Amazon has developed an AI interface that regular folks have welcomed into their homes. Who will take VR/AR from Lawnmower Man to Minority Report? I have no doubt that these technologies continue to merit investment and offer enormous potential, but, like with the iPhone, it will take masterful design, enormous computing power and intuitive applications to break us out of the current Gordon Gekko stasis and into a fully immersive future. Traveler, Cross-fitter, Runner, Dog-Lover. Currently planning the next conference you don’t want to miss.